Utah’s newest and slightly mysterious dinosaur, Martharaptor greenriverensis, is named in honor of Martha Hayden, a UGS paleontological assistant and a dedicated advocate of paleontology. She has served for over 30 years as the aide to several Utah state paleontologists and has also donated numerous volunteer hours in her paleontological endeavors. 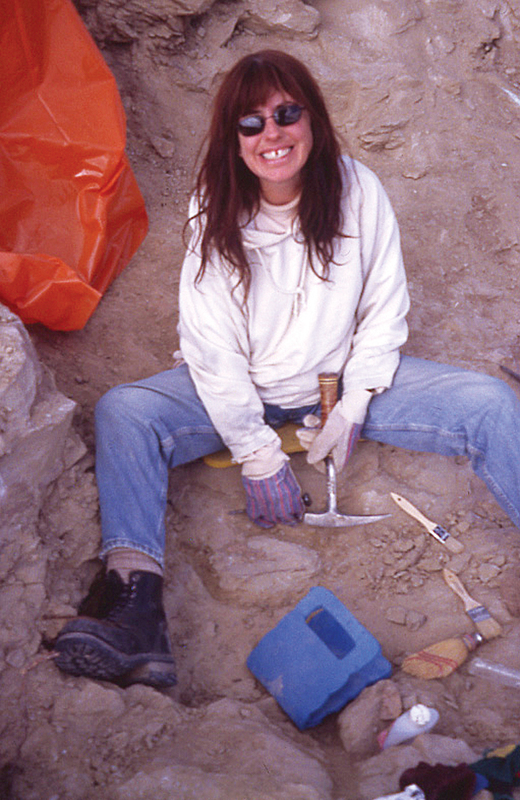 Martha co-discovered the fossilized skeletal remains near Green River in east-central Utah. 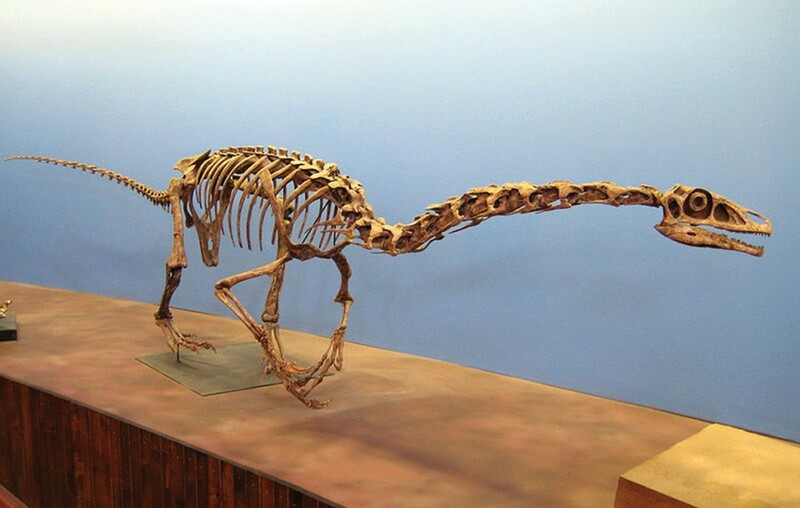 The bones, found in the roughly 125-million-year-old basal rock of the Cedar Mountain Formation, were originally thought to be from a meat-eating dinosaur, supported by the fact that other carnivorous dinosaurs (such as the famous Utahraptor) have been found in the same rocks of the same age. However, some of Martharaptor’s remains, especially the scapula and claws, resemble the pot-bellied, bipedal dinosaurs called therizinosaurs that are omnivorous. These omnivorous and/or herbivorous dinosaurs stand out in having long necks and large hand claws and include the well-known therizinosaur Falcarius utahensis that was found nearby in slightly older rocks. For now, the fossilized bones have been placed into the collections of the Natural History Museum of Utah in Salt Lake City. Until a complete skeleton is found, Martharaptor greenriverensis may well remain an enigma. And possibly, Hayden herself will make the next discovery.